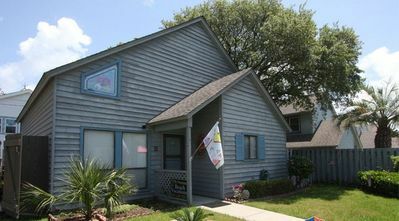 Scalliwags is located 1.0 Miles from sand and surf of Surfside Beach!!! Scalliwags Stay invites you to come deep south, to sit, and to stay a spell. 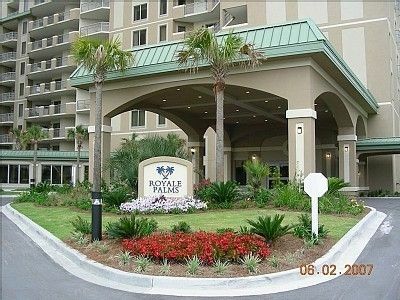 Our “specialty” is your own private, fenced yard, for you to enjoy with your dog(s) (up to 2). 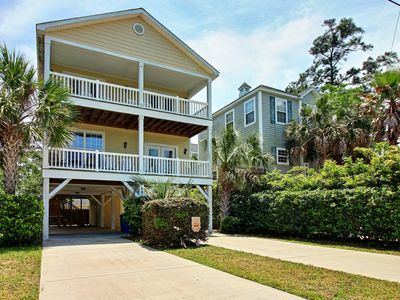 Scalliwags is all about a great sitting area on the deck, adorned with festive lights, overlooking your own private, fenced yard, where your fur-baby can safely romp as you lounge there is even a fire-pit. Ascend the stairs to this 750 sq. 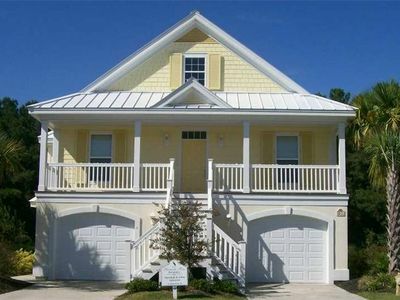 ft private, locally-owned, dog-friendly, Surfside Beach retreat and dog-lax in the lap of true Southern Surfside Beach. Scalliwags offers guests a unique, canine-friendly cabana experience. 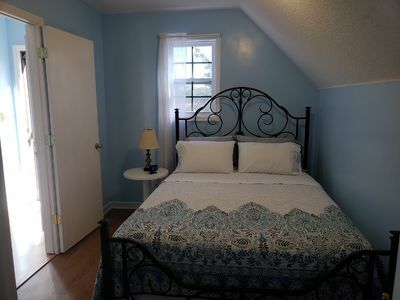 The Scalliwags Suite features a luxurious, queen-sized, hooman bed in the bedroom. The couch in the Sitting Room also converts into a queen-sized bed. Scalliwags features a fully updated bathroom with shower. 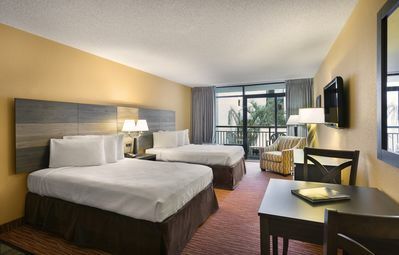 You are provided with clean linens and towels for your stay, 1 set of linens for each bed for the entirety of your stay, and 8 bath towels, if you require more please make prior arrangements. The Scalliwags Suite also features a washer and dryer for your added convenience. Scalliwags has a full-sized kitchen, complete with refrigerator, dishwasher and a natural gas range for the culinary refined. 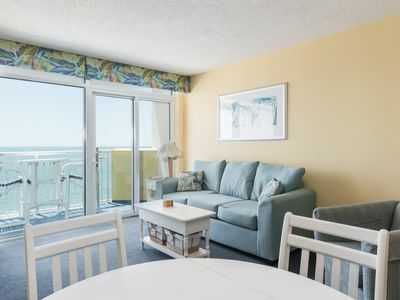 This newly vamped suite is impeccably clean, and fully furnished with what's necessary for home-stay dining while you enjoy the beach. 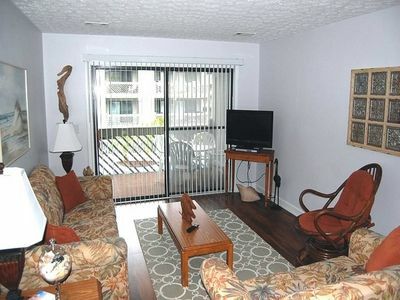 Scalliwags offers Direct-TV in both the sitting room and your bedroom. 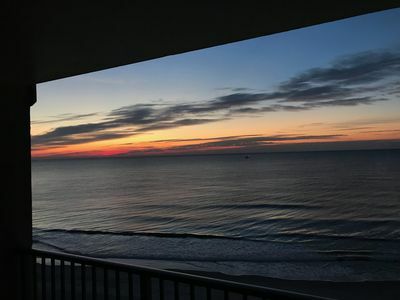 Please enjoy free WiFi, the coffee-maker, plates, silverware, cookware, toaster, blender, microwave, towels and linens, hair-dryer, washer and dryer, iron and ironing board, should be all that you need, if you can't find what you need, please ask. Please plan to supply your own groceries and toiletries. 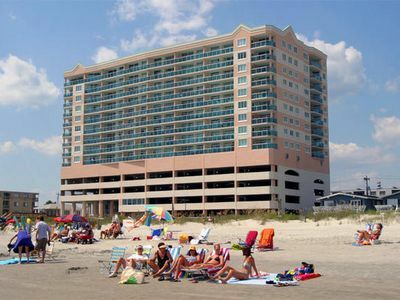 With prior planning, we can offer dog-sitting services while you enjoy an afternoon at Surfside Beach or while you enjoy an evening out for dinner and music. *Canine guests must be spade or neutered, up-to-date with all shots, including kennel cough and actively using flea control, (we will request a pic of your fur-baby and the shot records). Outside of the private yard, your dog must remain on leash. Any damage, either in property, ourselves or our pets are your responsibility. 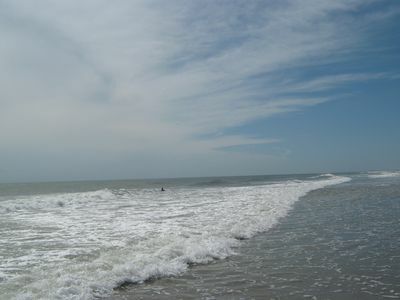 Scalliwags is located one mile from the ocean at Surfside Beach. It's an easy bike ride, or dog walk. 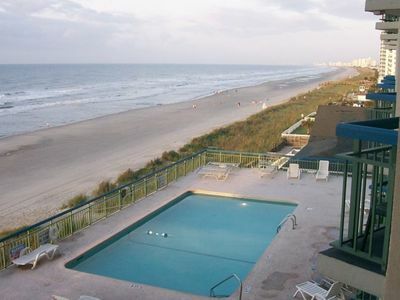 Surfside Beach has its own laws about times that canine friends are allowed. The laws change seasonally, and of course we will keep you informed. Owners will always be available by text and on-site most of the time (we live in the house on the property). 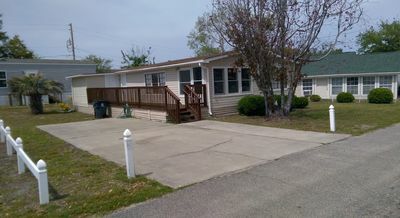 Scalliwags, is completely separate from the main house, including yard fencing. There is plenty of parking if you wish to bring along a boat / trailer. 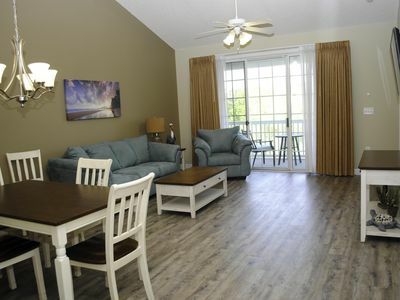 PLEASE NOTE: If you leave Scalliwags Suite in a clean condition (dishes loaded and/or washed in the dishwasher, used linens and towels left on the bathroom floor, no trash or spills lying about) we will apply a $100 refund to you. 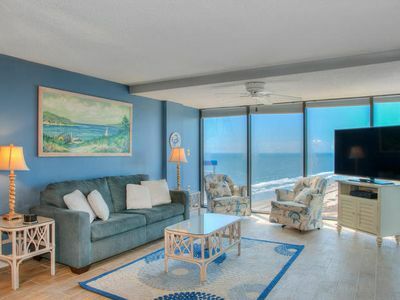 Ocean Front 2 Bedroom /2 Bath Booking for Spring and Summer! King Bed! 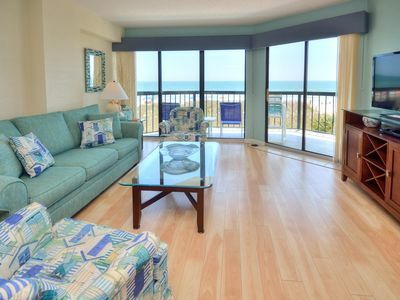 Beautiful Romantic Direct Oceanfront! 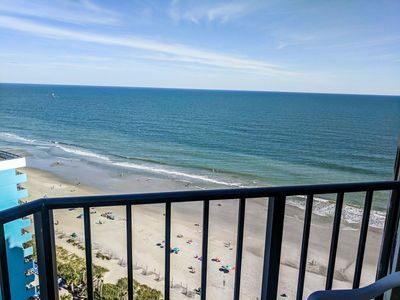 Myrtle Beach Very Nice-Comfortable-Affordable Oceanfront Condo -- Great Reviews! Spring is calling! 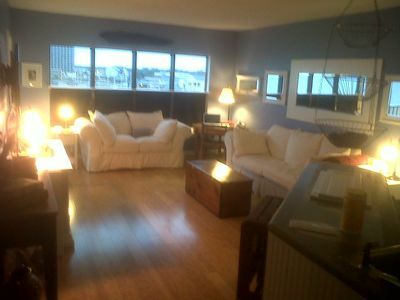 - Bright and Airy condo-New TVs floors furniture! 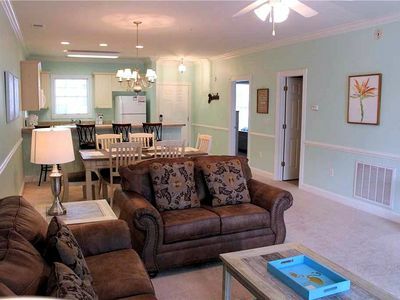 Emerald Cove 1B, 3 Bedroom Beachfront Condo, Pool and Free Wi-Fi! 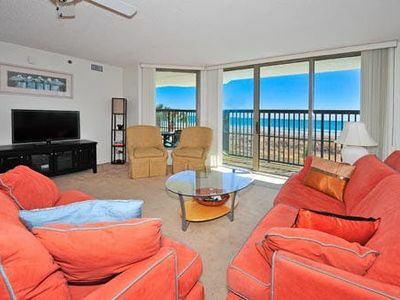 Great Views overlooking the Lake!